These days, POD’s minder is all about the easy. And what’s easier than that guy-who-puts-up-with-so-much’s pesto? Strangely, the past few days have provided perfect growing conditions: not too hot and just the right amount of delicious rain. That makes for a happy gardener. And that’s the strange part. 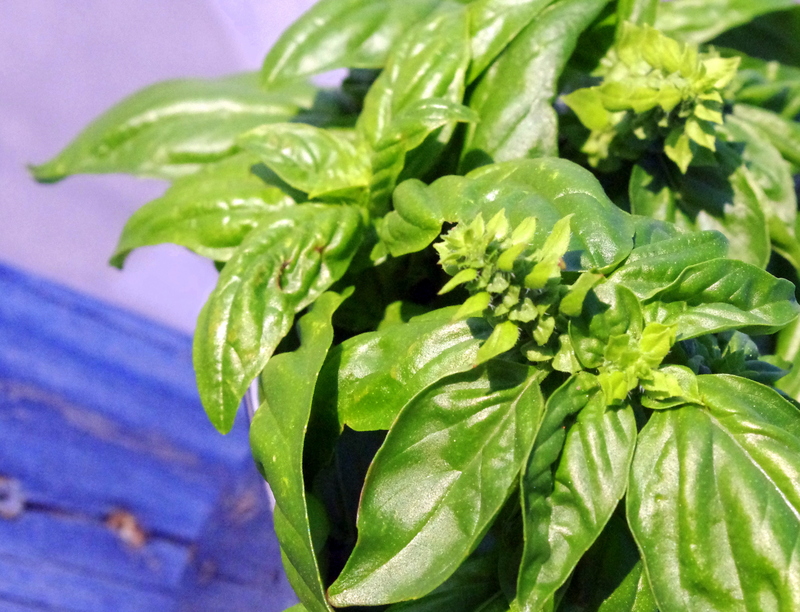 Anyhoo, the basil shot up and was already beginning to flower– so it was time o chop it down to the bones. The plants may look naked, but the trim will result in many, many future pestos.